This winter has kickstarted a strong sports season for LCHS, and Boys’ Basketball is no different. The Boys’ Basketball has consistently stood as a shining example of LCHS sports. 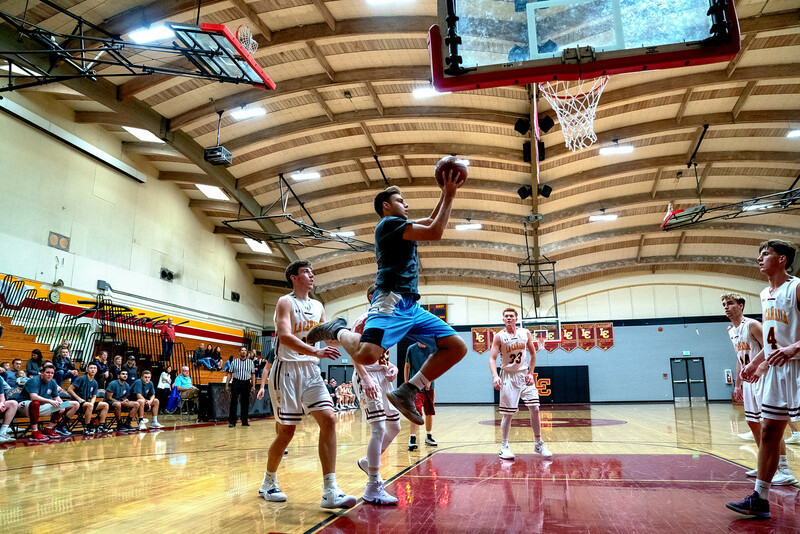 This past month, the varsity team snatched five wins, recently leading with thirty point leads against Simi Valley and Renaissance Academy. The team is composed of co-captains Jake George (12) and Ryan Graves (12), with players Liam Bui (12), Kevin Kirste (11), Kyle Brown (11), Tyler Kuang (12), Noah Ford (12), Jacob Nussbaum (11), Ryan Grande (10), Garrett Kremer (12), Darren Pung (11), John Hickman (12), Riley Eng (12), and Zach Feehan (12). Tom Hofman coaches the team. Liam Bui is confident that the team will finish strong this season. “I think we’re more cohesive as a team this year. Last year, there was a lot of discord between players, but everyone knows their roles now and we enjoy playing together as friends.” He hopes the team will go very far this season and outperform their previous records. Whether you’re a longtime supporter of the team, or if this is your first game, there’s still time to support the team! The next home game takes place on December 6th against San Gabriel Academy, followed by an away game on December 7th against La Salle High School. Bring your friends and rally the team on. A Boys’ Basketball game is something you do not want to miss! Developer and LC Spartan's technical engineer 2017-19. Class of 2019.